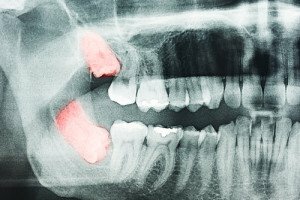 When your wisdom teeth are not growing in properly, it will have a direct impact on your jaw. You may notice a persistent pain in the jaw, particularly higher up your jaw line. The jaw may also feel stiff and immobile. These symptoms are common on an occasional basis. When they become a daily feature, it could indicate that wisdom tooth extraction is necessary. One of the most reliable signs that wisdom tooth extraction is becoming a concern is pain at the tooth site. The wisdom teeth are at the back of your mouth past the last of your teeth. Wisdom teeth are the most common culprit when a part of the mouth that you don’t use a lot suddenly starts to hurt. Your gum tissue is some of the most sensitive tissue in your mouth. As a result, when something as significant as wisdom teeth start to grow in improperly, the gums tend to get irritated. Swelling or pain in the gums are common symptoms of oral health issues, including those that make wisdom tooth extraction necessary. If all or just some of your gums develop issues, seek out a dentist immediately. If is important to note that these symptoms may not indicate you need wisdom tooth extraction. But they do indicate that medical attention is necessary. When pain, swelling, or other problems with your oral health present themselves, you will not want to wait to see a dentist. Rely on the team at Florida Dental Rejuvenation to see you quickly and provide all the care and treatment you need. Contact us at 561-203-4716.